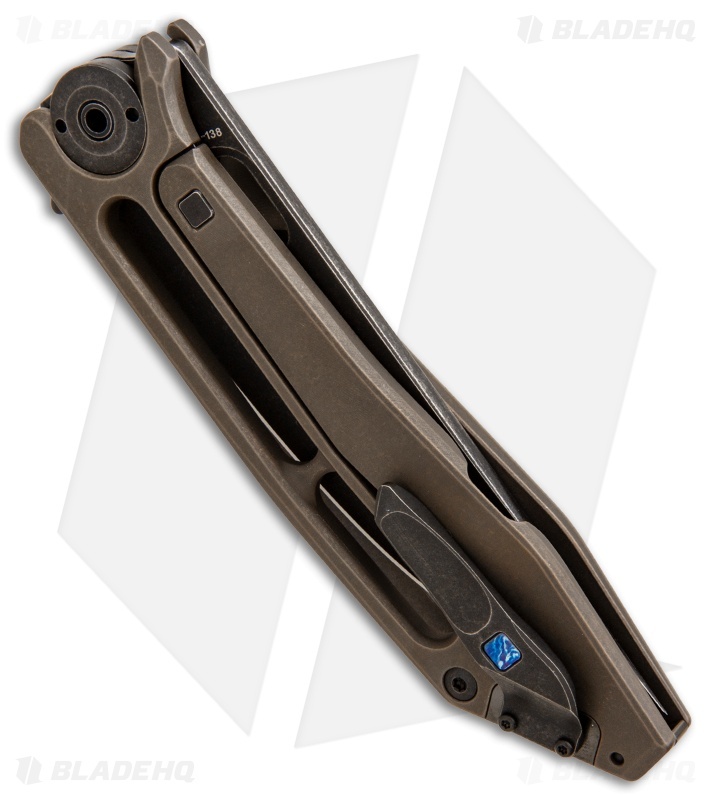 The Kadat is a very limited CKF folder with 4.3" of cutting edge to tackle everyday tasks. 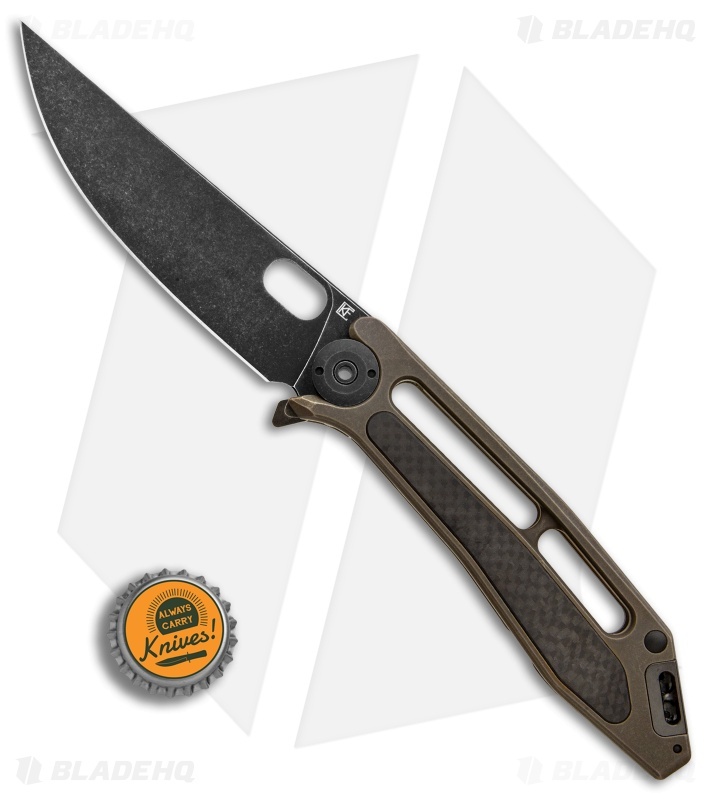 This knife has a bronzed titanium frame lock handle with a carbon fiber inlay and sizable cutouts that offer drastic weight reduction. Its blade is made from black stonewashed Bohler M390 steel with a full-flat grind for easy slicing. 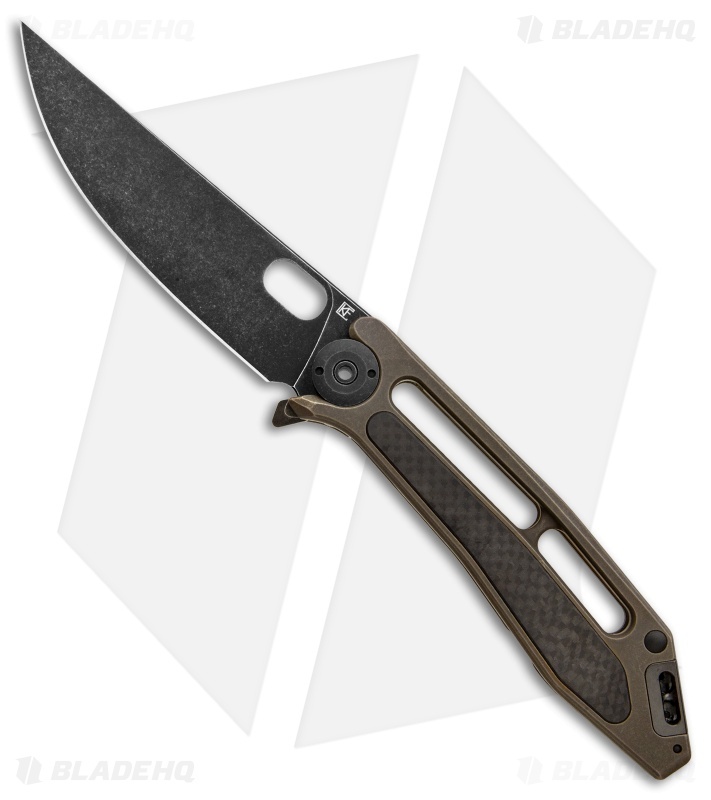 Despite its size, the Kadat is easy to maneuver and feels lightweight in the hand. Includes a machined titanium pocket clip with a square timascus accent. Ceramic ball bearing pivot allows effortless blade deployment. Sculpted pockets and cutouts in the handle offer reduced weight for comfortable carry. Dual lanyard holes in the backspacer provide options for lanyard and accessory attachment. Ive collected quite a few high end mid techs and this takes the cake. Such a truly unique knife with so many tiny details and interesting design choices, I find myself intrigued by this knife even after owning it for almost a year. The blade has a very tall full flat grind which makes it an amazing slicer. 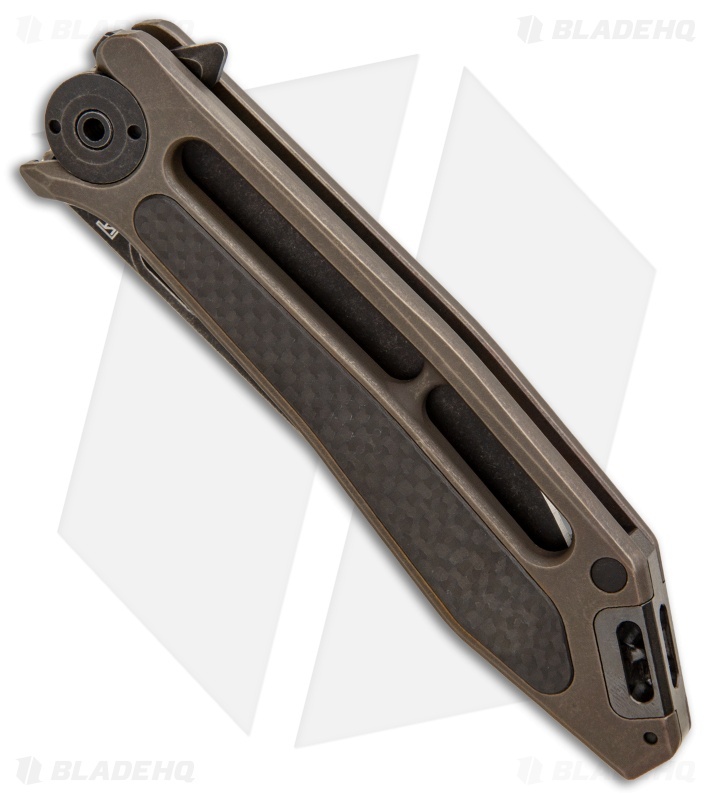 With how much of the handle is machined away (both because of the very large slots and internal pockets as well) this makes for a surprisingly light knife considering its 4.25" blade and titanium handles. The carbon fiber inlay in the handle and the timascus inlay in the pocket clip make for great little details as well. And by the way the pocket clip is surprisingly good for how odd it looks, does ride a little high in the pocket but no big deal. It has a buttery drop shut action and solid lockup + perfectly centered blade with very odd but user friendly pivot construction. I could yak about it for a while but to sum it up it hits all the points if not surpasses them. Wouldn't pass up this limited run knife.